Graham used to love this too!! Abby thinks our baskets are row boats – either way, it’s adorable! Looks like so much fun! 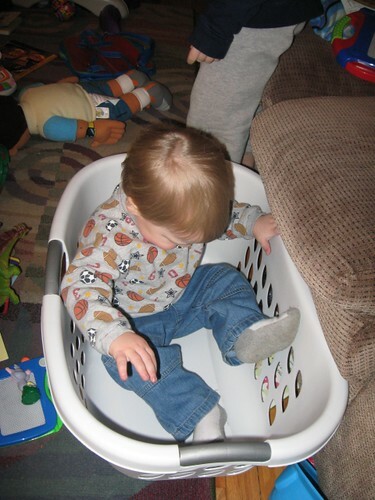 I remember having so much fun with laundry baskets when I was younger. Too cute! 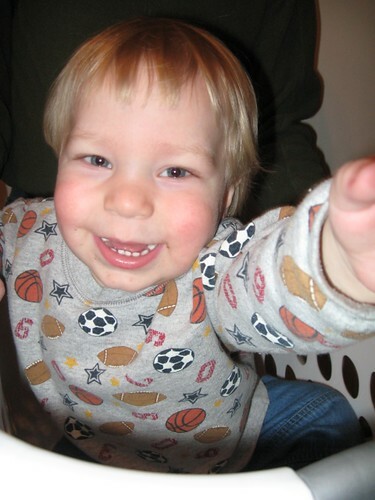 I love those in the laundry basket pictures. :) We have lots of those with W.W. too. And then there are some of him climbing in the kitchen cupboards, the cupboards in the hole in the kitchen were the new dishwasher was soon to go. Great memories. They’re great pictures! That is what my children are doing right this moment…I wouldn’t mind so much but the squeals are enough to cause permanent damage LOL! Very cute! Baskets are the bomb! At least that is what my kids say. 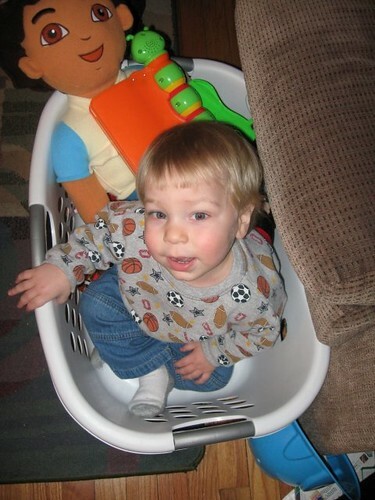 My kids all used to have so much fun with just laundry baskets. Too cute! too cute – my kids love to play in those as well?? How fun! My daughter loves laundry baskets. My daughter was also a basket baby, it didn’t matter what kind of basket it was she had to climb in it. Still likes large boxes to turn into clubhouse/hidey holes. 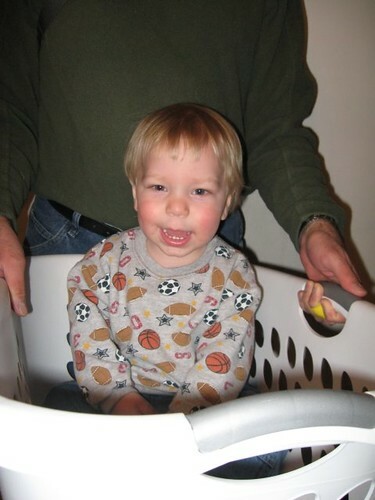 Isn’t it amazing how much fun a laundry basket can bring? Great shots of your cute little one! That is cute! He looks like he’s having fun. Great photos and the smile is contagious!